At Green Leaf Lawn in Tulsa, we truly love the magic and wonder of a beautiful holiday light display. We are happy to provide our professional, competitive, and experienced Tulsa Holiday Lights service to homes and businesses in the Tulsa, Oklahoma metropolitan area. 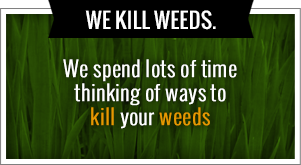 Give us a call today at 918-610-6405 or visit us online for more information at www.greenleafweedcontrol.com we have a wide variety of services for the people of Tulsa, Oklahoma and the surrounding communities. Your Tulsa Holiday Lights will be handled with expertise every time you use our company for your installation services during the holidays. Value – Our competitive pricing offers the best value of any Tulsa Holiday Lights installation company in Tulsa, and we will happily price-match any competitor’s estimate who carries worker’s compensation and liability insurance. Integrity – No need to worry about scams with us; we will never charge more than the agreed-upon price without consulting you first. Quality – Every aspect of our installation service is designed with your tastes in mind. We create excellent street appeal by hiding extension cords, ensuring your strands are hanging straight, and customizing each design to the unique aspects of your property. Efficient – With our professional expertise, we will install your Christmas lights safely, quickly, and without delay. Artistry – As professional Tulsa Holiday Lights installers, we pride ourselves in crafting beautiful, wondrous light displays customized to your wishes and designed to fit your budget. Take-down – Our Christmas light installation service includes prompt take-down, at no additional charge. Storage – No need to find a place to store your Tulsa Holiday Lights and worry about untangling cords and strands each year. We offer free climate-controlled storage for your Tulsa Holiday Lights at our facility all year long. Green Leaf Lawn would love to create a bright and shining Tulsa Holiday Lights display at your home or business this season. Check out our gallery to view some of our finest work and call us today to schedule a free estimate for your own luminous Christmas light display! One of the greatest joys of the holiday season is taking a drive to look at all the lit up displays in the neighborhoods around your house. Since that time of year is fast approaching, many people are giving serious thought to their Christmas light installation and Tulsa Holiday Lights needs. Nothing adds an air of festivity to your home holiday lighting. Whether it’s Christmas, Hanukkah, or Halloween, a decorative display of Tulsa Holiday Lights can really bring in the holiday spirit both indoors and out. Holiday lighting can transform an ordinary yard into a festive place full of holiday cheer. If you’re interested in how you can get Tulsa Holiday Lights from a company like Green Leaf, give us a call at 918-640-6405. At Green Leaf Lawn in Tulsa, we are a full-service lighting installation and services company that specializes in holiday lighting displays. Over the years we’ve created countless holiday lighting concepts for homes in the Tulsa, Oklahoma area. And we will be happy to design a holiday lighting concept that fits the season as well as your home and personal tastes. We are fully licensed and insured and up to the job regardless of its size. Whether you need small displays are magnificent outdoor landscape, Green Leaf in Tulsa can created for you with the level of style and professionalism that is unmatched by the competition. Add a little light to the holidays by giving us a call today. In addition to Tulsa Holiday Lights, you may not be surprised to learn that a gorgeous lawn can improve your mood and outlook on life. But when it comes to caring for your lawn, hiring and inexperienced or untrained landscaping company often leads to costly, substandard results they can do your lawn more harm than good. We are at your service here at Green Leaf. 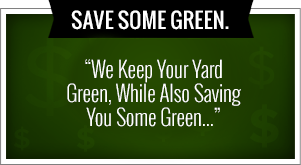 We are dedicated to creating and maintaining healthy, beautiful lawns in Tulsa, Oklahoma. We work closely with our clients to develop a long-term lawn care plan that fits their needs and budget. We never attack on hidden or extra charges. From any season of the year you can have a beautiful lawn provided by a company that truly cares about your unique situation. If you’re interested in experiencing the convenience of professional landscaping or are unhappy with your current company, trust the experts at Green Leaf in Tulsa for prompt affordable service you can depend on. A well manicured lawn this curb appeal and makes a great impression on guests. Keeping up with all that mowing and trimming on your own can take a toll on your back, your energy, and your free time that you could be spending with your family. With mowing services from Green Leaf, you can maintain healthy, visually appealing lawn you crave without the backbreaking work that goes into maintaining it. We look forward to being your service provider of choice when it comes to all of your landscaping needs.